The Chesapeake Bay and the Milky Way | china-land. Then return to the place of his birth. Or wonder why beings are so perverse. 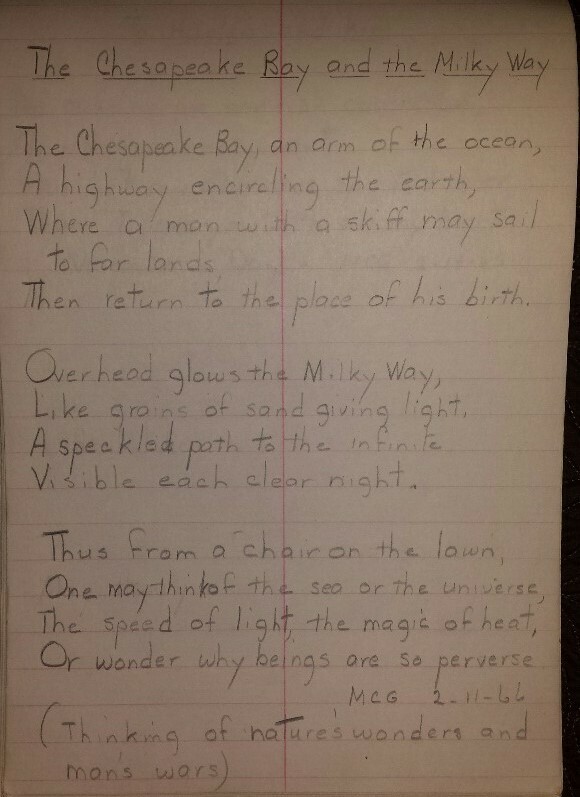 This entry was posted in Uncategorized and tagged Chesapeake Bay, home, poems. Bookmark the permalink.